GEORGE FREEMAN GEORGE THE BOMB! FRIDAY APR 26, 2019 from 6 to 9 PM CD Release and Listening Party at Lange's! CD Release and Listening Party at Lange's! 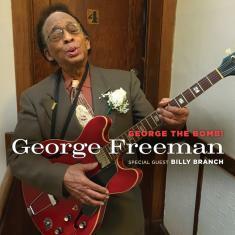 George Freeman will be on hand at the bar to sign CDs! Live Music from John Devlin! Listen to the New SOUTHPORT CD "George The Bomb!" all night! Special Guest Billy Branch on harp and vocals! with Joanie Pallatto-vocals and Sparrow-piano!